Curated by Carly: An exclusive offer from Country Club Prep! An exclusive offer from Country Club Prep! EXCITING NEWS: Country Club Prep has an exclusive discount for Chicago Prepster followers. Enter the code "CHICAGOPRESPTER" when you check out to receive 10% off your entire purchase! CCP is your one-stop shop for all thing preppy. 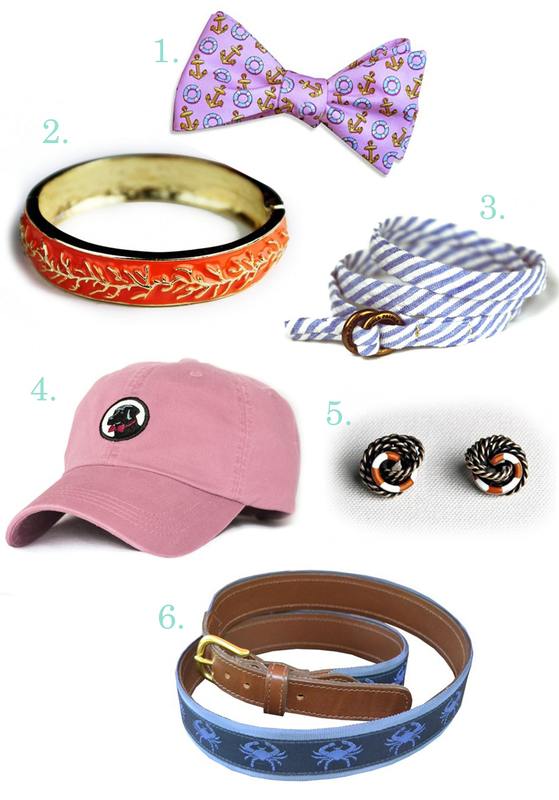 They carry everything from bow ties to tote bags made by a variety of designers including Southern Proper, Kiel James Patrick, Tugs, Pink Pineapple, and many more. Here are a few of my favorites from Country Club Prep! 6. Blue Crabs Belt by Knot Belt Co.
Leave a comment with your favorite CCP item and what you purchased with your discount! Enjoy your exclusive discount and happy shopping! !